White Flour vs. Wheat Flour: What’s the Difference? On your quest to better eating, you’ve probably heard that it’s best to avoid white flour but—if you’re like most of us—you probably aren’t willing to swear off the bread, baked goods and pasta for good. Wheat flour is often touted as a good alternative to white flour, but is it actually better for you? By and large, it’s a smart idea to lessen your intake of the white version, opting instead for whole wheat flour that contains more nutrients. Let’s take a look at exactly why whole wheat is better and how much is appropriate in your diet. Both white and whole wheat flour are milled from soft wheat, red wheat, white spring wheat or another kind of wheat.The primary difference between white and wheat flour is that white flour is heavily processed and refined —hence why it’s often called “refined wheat”—whereas wheat flour retains its wholeness and has undergone little processing. By law in most states, refined wheat must be enriched with certain nutrients to restore some of the nutritional value. The B vitamins thiamine, riboflavin, niacin and folic acid, as well as iron and calcium, are often added. Organic Wheat Flour—Whole organic wheat flour is made from hulled red wheat grain (otherwise known as wheatberries) andretains its natural nutrients, including fiber, fatty acids, vitamins and minerals.It’s a good source of vitamins B1, B3 and B5, manganese, phosphorous, copper, folate and selenium. Studies show that the higher nutrient content is important for our long-term health and blood sugar response. Though slightly different in taste and texture, it makes a great alternative to white and self-rising flour in baking. White Flour—White flour has been stripped of most of its natural nutrients and therefore has a lower fiber content than whole wheat. About 30 nutrients are removed during processing of white wheat. While enriched flour adds some of the nutritional value back, the law only requires that five nutrients be returned to the flour. For a better version of white flour, try white whole wheat flour (also called whole white flour) that is milled from hard white wheat but hasn’t been refined or processed. 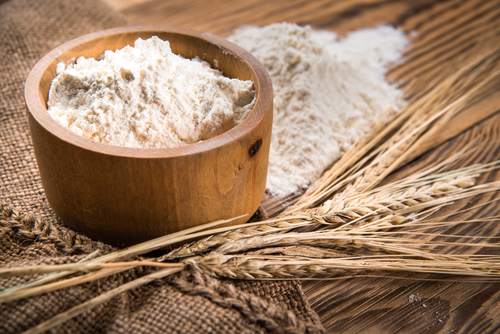 Even with nutrients added, wheat flour comes away with more nutrients. Both white and wheat flours contain about 455 calories per cup, with 95 grams of carbs, 13 grams of protein and 1.2 grams of fat. However, where wheat wins is in the fiber department—it has about 12.8 grams of fiber per cup. 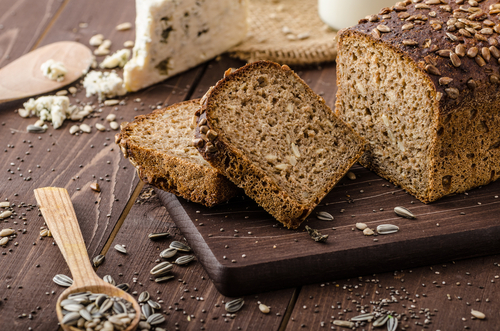 It’s clear that you’ll soak up more nutritional benefits if you toss out the white bread in favor of some whole wheat stuff, but it’s surprising to see actually how much better wheat bread is for our health. The higher fiber content alone is worth making the switch. Dietary fiber can significantly reduce your likelihood of heart attack or stroke,but despite this, most Americans aren’t getting enough. It’s recommended that you consume between 30 and 40 grams of dietary fiber per day to safeguard your heart. Additionally, eating only white flour products can lead to nutritional deficiency, which can cause chronic disease and illnesses. While you can make up for some lack of nutrition by adding dietary supplements to your diet, it’s important that you get a good amount of your recommended daily nutrients each day through what you eat. Finally, preservatives, bleach and additives in refined, white flour are added to improve look and texture, but may trigger increased toxin levels in your body. 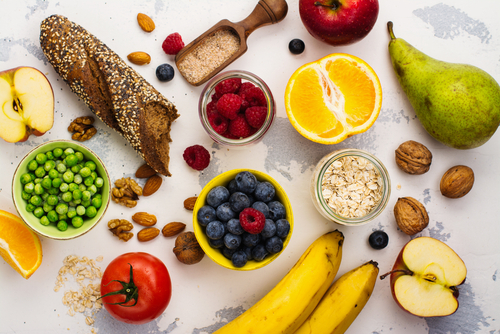 If you’re starting a healthy, new diet and are making the switch from white to wheat, make sure to reset your digestive tract with a fiber cleanse. Not only will this flush out most of the toxin buildup from white flour, it will also provide the body with much-needed fiber and reset bowel function for a fresh, new start. Bread prepared for the grocery store shelves is designed to extend shelf life. A long shelf life is the goal, not nutrition. Ezekiel bread is my favorite. I have read that Some whole wheat breads have molasses or some kind of coloring to make you think they are loaded with whole grains. Judy, I like the Ezekiel tortillas. Smash up some avocado on one half, rub some extra virgin olive oil on the other half. Then sprinkle with a pinch of salt and fold it up. Tastes great and is filling.